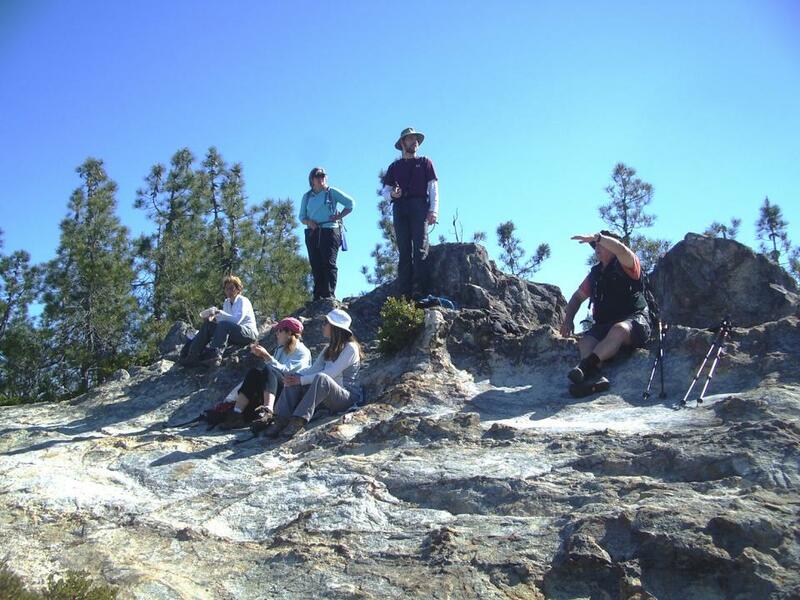 Let Little Basin host your group in a natural setting in California's beautiful coastal redwoods. Little Basin, once a retreat and campground for Hewlett Packard employees, is a 534-acre California State Parks campground that was recently added to Big Basin Redwoods State Park through an innovative approach in park operations and a public/private partnership between Sempervirens Fund and Pennisula Open Space Trust and United Camps, Conferences and Retreats (UCCR). 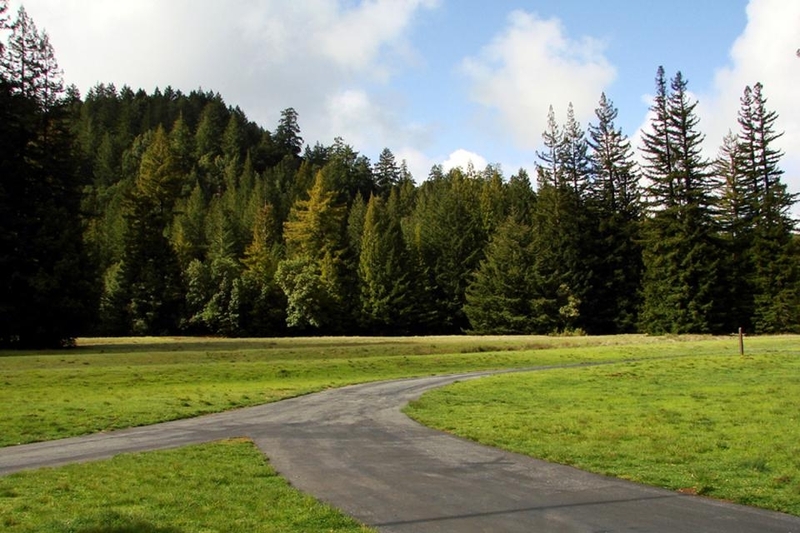 Little Basin is open for reservations and groups of four or more will be able to camp in this majestic redwood forest with its expansive meadows. 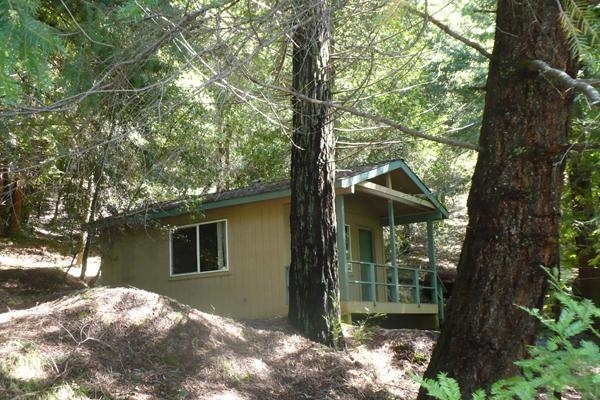 Just a short drive from the Bay Area and Silicon Valley, Little Basin features beautiful group camping areas, cabins, and miles of hiking trails. In addition, UCCR is proud that its educational institute, Web of Life Field (WOLF) School, will provide program services at Little Basin. 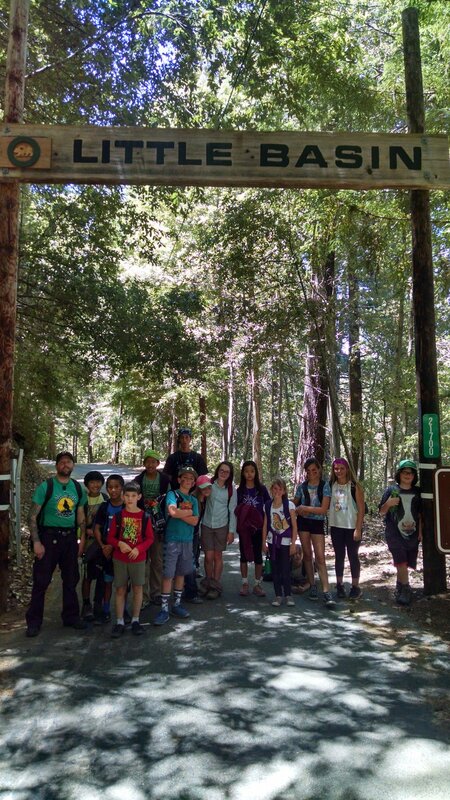 WOLF School runs dynamic and engaging educational programs in science and the environment, cultural history as well as leadership and team building to thousands of students and campers throughout northern and central California each year. Larger groups including organized organizations, school groups, Scouts, colleges and universities, can reserve Little Basin exclusively and take full advantage of all the program and recreation opportunities. A non-camping parking fee is $10/car/day. "Trails at Little Basin give you a great look at the redwood forest and the plants found near Big Basin. From orchids to tan oaks to ferns and lichen, it is an area rich in plant variety that is fairly easy to access via the trails." Own Cooking - Groups do all of their own cooking. 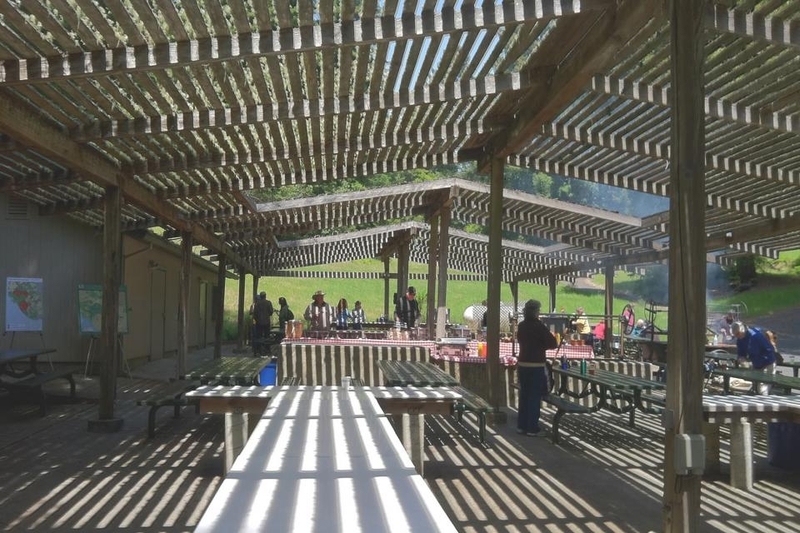 A large BBQ area is available at an additional cost for large group picnics. Visitors will choose from 12 cabins, 38 tent spaces and several RV sites as well as a large group camping area. All cabins have bunk beds with a few having double beds in addition to the bunk beds. All tent sites and cabins have a picnic table, BBQ, and fire ring. There are two bathroom/shower houses for all to use. A variety of outdoor gathering areas. Tennis, Basketball, and Sand Volleyball Courts. Two Sports Fields, Playground, and Horseshoe Pit. To schedule a tour of Little Basin, or to set up a special event or reserve more than two campsites, please call the site director. 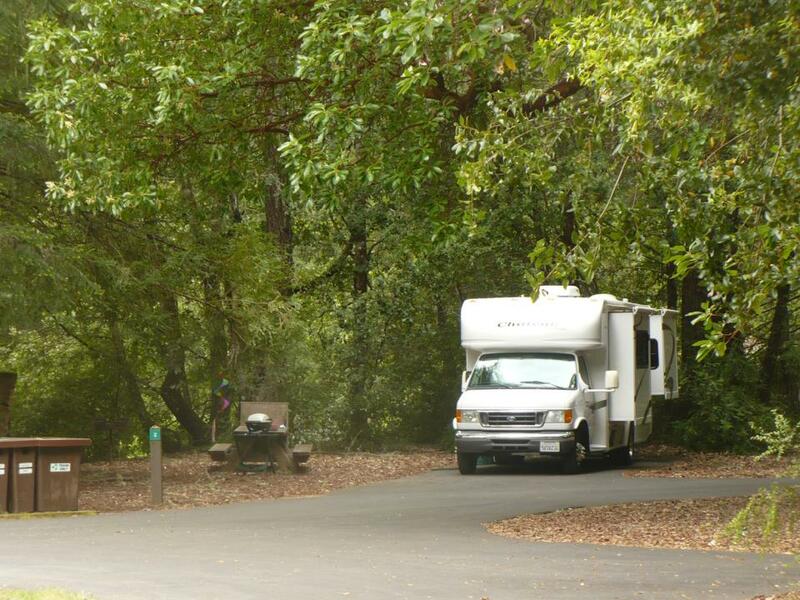 Little Basin Cabins & Campground is owned by the California State Parks.